This is a tricky subject, because really, how do you know?! Unless you are living in the house, you are probably skeptical. I am no “ghost expert,” but I do know houses. Houses creak and groan, especially older ones. Don’t assume that every creak is a ghost having a dance party. If you have objects flying around or red goo dripping down the walls, you can’t keep that to yourself…but if you’ve got that, I’d venture to say that determining the validity of a haunting are the least of your troubles. HOW DO YOU SHARE THIS WITHOUT SOUNDING LIKE A WHACKADOODLE? Not everyone believes in or cares about ghosts and hauntings. The buyers who are concerned with it will ask, the ones who aren’t concerned, won’t. If the activity is of a high enough level to be of concern, it definitely needs to be shared. If you believe your house is “haunted,” have a serious discussion about it with your REALTOR® and get a game plan for disclosing it to potential buyers without scaring everyone away. 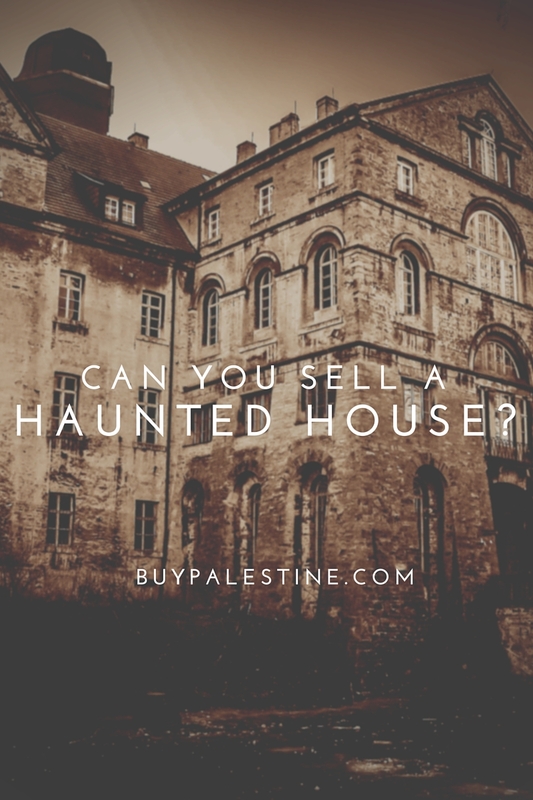 It is easy to make light of a potential haunting, but if it is at a level where you are concerned, it is your duty to disclose it to any potential buyers. Hopefully this is never an issue and the only ghosts you have at your house are the ones wearing a sheet while exclaiming “Trick or Treat!” at your door. If you ever find yourself selling a haunted house, you’ll know how to approach it with potential buyers. Or maybe you’re lucky and your ghost is a clean freak who likes to do dishes and fold laundry. If you’ve got that type of ghost, call me, I’ve got a buyer. Lisa E. Priest wonders what the cut-off age for trick or treating is and is an East Texas Area REALTOR® with Picket Fence Realty, Inc. You can reach her via phone or text at 903-948-3343 or at BuyPalestine.com.